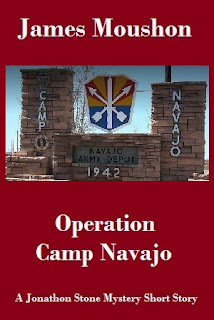 The Showcase is a special feature of the Author's Spotlight. 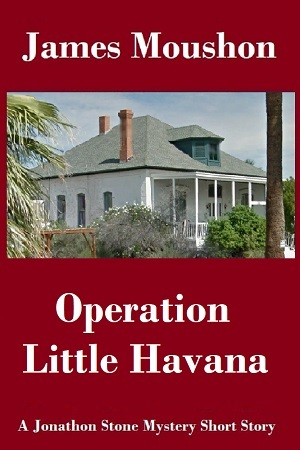 It is designed to highlight Spotlight author's NEW releases and their soon to be released novels. 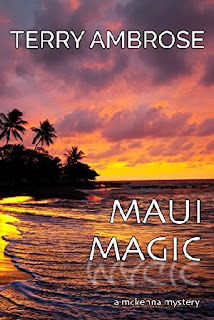 The HBS Author's Spotlight SHOWCASES Terry Ambrose's New Book: Maui Magic. Terry Ambrose is the author of the McKenna Mystery series. The eighth Trouble in Paradise island mystery featuring senior sleuth McKenna and his PI-wannabe sidekick Chance Logan. Whatever happened to easy? McKenna had the perfect cover for his plan to propose marriage. He and his girlfriend Benni would help his elderly tenant, Mrs. Nakamura, fly to Maui for a visit with her pregnant granddaughter. Then, he’d take Benni for a walk on the beach. He had a ring, but did he have the courage to pop the question? The minute they land, McKenna’s perfect plan hits a snag. 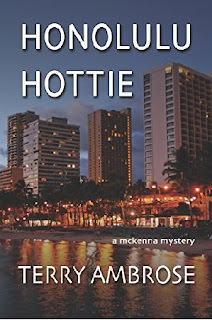 Mrs. Nakamura’s grandson-in-law is being accused of murder—and she wants her amateur sleuth landlord to investigate. Reluctantly, McKenna agrees to take the case with his friend Chance. They dive into an investigation that starts in a seedy hospitality club and goes straight downhill. 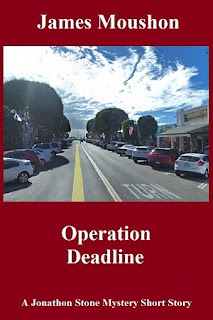 Before they know it, the battle for Maui’s water is raging around the amateur sleuths and they have too many questions to answer. Why was the murder victim living under a fake identity? Why is their client claiming he committed the crime? And, who is the mystery man stalking them? On a dusty cane road, McKenna must answer the toughest decision of his life—live rich or die poor? 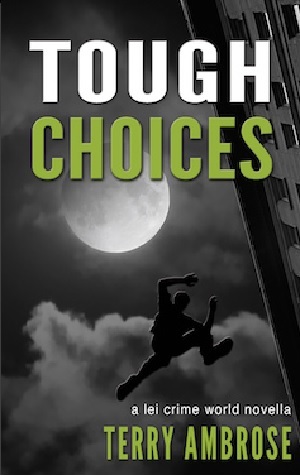 There's no way it's the question he wanted to face, but if McKenna doesn’t think fast, he may never ask another. 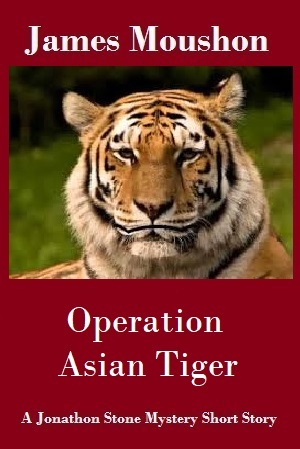 “My father ordered my mother online.” Mrs. Nakamura’s smile revealed straight teeth, slightly yellowed with age, framed by thin lips. My girlfriend had gotten more out of Mrs. Nakamura in twenty minutes than I had in four years. Four. Long. Years. That’s when the old woman began renting at the Sunsetter Apartments. Our little Hawaiian Airlines flight had 3-2 seating. Three people crammed on one side, two on the other. Cramped as though the accommodations might feel, it beat the heck out of the mainland flights. This was spacious compared to the knee-cracking seats the long flights called coach. With me on the aisle, Benni in the middle, and Mrs. Nakamura in the window seat, I had a bit of distance from the old woman. I felt content to sit back and enjoy the ride while they bonded. Benni and I are opposites in many ways. She had a knack for making friends. She knew her emotions and didn’t hold them at bay, which was one of my biggest challenges. And speaking of challenges, I should take this opportunity to do a little bonding myself. The giant’s seat shuddered. I jerked back just in time to avoid the collision. I’d swear the old woman just shot a few daggers at me behind Benni’s back. Once a schoolteacher, always a schoolteacher? Had she issued me a warning? Don’t get out of line, McKenna. If you do, you’re in detention. I’m watching. “My father was a master of politics,” Mrs. Nakamura said. “Oh?” Benni’s voice lit up with renewed interest, and she turned away from me again. Had Mrs. Nakamura finally disclosed the reason she didn’t like me? I was Caucasian. Did she harbor resentment over legislation nearly a century old? She’d taught so many kids during her forty years as an elementary school teacher in Hawai‘i. Or could the reason be more personal? Perhaps I reminded her of a difficult student. The one she couldn’t fix. It could explain why she kept me at arm’s length while treating Benni so like her daughter. The wrinkled skin around the old woman’s eyes crinkled as her gaze flicked past Benni. I do believe I even caught the hint of a smile on her face. The comment earned me a nod and a raise of the eyebrows. She even sort of smiled at me. Perhaps I was making progress with the old bag. Benni’s attention remained fixed on Mrs. Nakamura. I could see how fondly the former teacher remembered Benni. Good student. All wide eyes and smiles. That’s how she got me, too. But, I couldn’t visualize the two of us opting for a mass wedding ceremony with a dozen strangers. To be concise, not happening. “I kind of do. Not completely, but in desperate times...” I winked at Benni and flashed her my best leading-man smile. Thank goodness Mrs. Nakamura’s puritanical values saved my bacon. “Wait, you really were in her class?” I gaped at the two women. Oh, for crying out loud. Was that how Benni got away with calling her Auntie? She was still benefiting from her brown nosing in elementary school? Oh man, talk about unfair. No wonder the old woman didn’t like me. I was playing against a stacked deck; I’d never met the woman before becoming her landlord. Benni rolled her eyes and turned away. Was that a challenge she’d just issued? Calling an elder Auntie was one of the many customs blended into our polyglot culture. I wouldn’t think of trying it with Mrs. Nakamura. I couldn’t breach the formality barrier with her for one simple reason, she intimidated me to no end. To be blunt, Mrs. Nakamura scared me. Period. But, if Benni’s eye roll meant she considered me a wimp, it could compel me to take on the challenge. Just not yet. 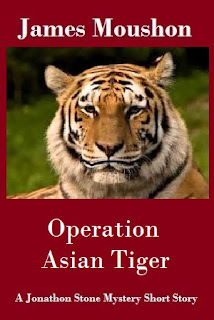 “It must have been a difficult voyage from Japan,” Benni said. 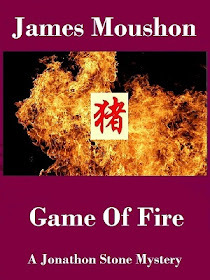 The overhead speakers blasted the inevitable announcement and drowned out Mrs. Nakamura. I’d learned a lot about my tenant on this flight. Perhaps I’d misjudged her. The old bat wasn’t so bad. I could always learn more about her back home. For now, we’d done our duty. Once we landed, we would drive her to Lahaina and drop her off at her granddaughter’s home. If I got lucky, when she returned to Honolulu, she’d want to gush over her great-grandchild. I’d let her ramble on. Maybe she’d even forget she didn’t like me. It wouldn’t change the truth, Mrs. Nakamura still petrified me. Author Description: Terry Ambrose started out skip tracing and collecting money from deadbeats and quickly learned that liars come from all walks of life. He never actually stole a car, but sometimes hired big guys with tow trucks and a penchant for working in the dark when “negotiations” failed. 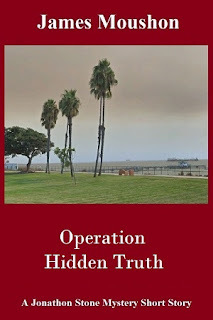 A resident of Southern California, he loves spending time in Hawaii, especially on the Garden Island of Kauai, where he invents lies for others to read. His years of chasing deadbeats taught him many valuable life lessons including—always keep your car in the garage. Not even the freak hurricane bearing down on Honolulu can dampen Wilson McKenna's holiday spirit. His girlfriend is coming to town, and they'll be celebrating their first Christmas together. Everything changes though when Chance Logan shows up and begs McKenna to help with a big charity event. Chance wants his best friend to take the role of Santa in the Christmas play he's directing. The previous Santa claims to have malaria, and dress rehearsal is only hours away. McKenna agrees to help, but trouble strikes during rehearsal when the storm hits town. There's a city-wide power outage, the phone lines and traffic are snarled, and when the lights come on, one of the elves is dead. When McKenna and Chance decide to investigate, the child star insists on being Santa’s helper. Now, McKenna has questions galore and no answers. Is the killer the Shakespeare-quoting Scrooge? The secretive Jack Frost? Or the way-too-friendly elf with more personalities than he can count? 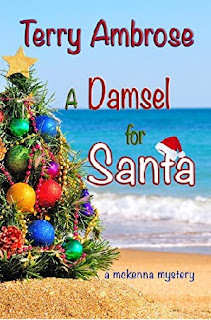 Should he give Assistant Elf Investigator Holly the promotion she's demanding? And what should he do about the Santa suit? It's giving him itches in places he can't even mention in public. 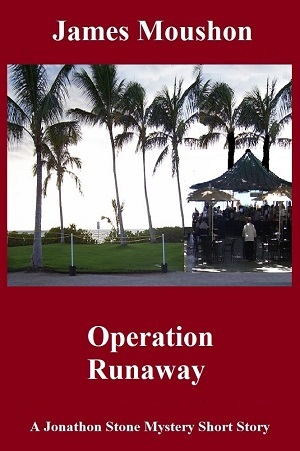 This year, Hawaii's best amateur sleuth has a short Christmas wish list. He wants to find a killer before the curtain comes down on this production. And, he'd kill for a sturdy backscratcher. 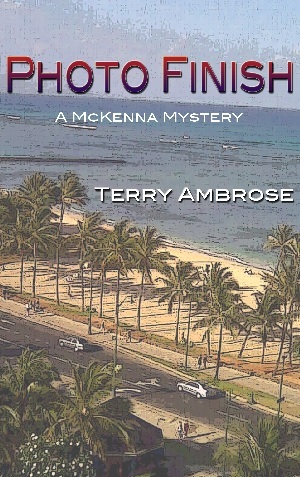 McKenna and his friends are taking a sunset cruise off the coast of Honolulu when they discover a stowaway. The stowaway turns out to be ten-year-old Kai Palakiko, one of O‘ahu’s best young surfers. Kai insists she needs to hire a private investigator so she can prove her nanny isn’t a murderer. McKenna reminds everyone he’s only an amateur sleuth, not a PI. Kai’s determination and charm endear her to his friends on the cruise and, despite his better judgement, McKenna agrees to help. Almost immediately, McKenna realizes Kai will be the worst possible client. She’s precocious, strong-willed, and has a nasty habit of interfering in the investigation. He also discovers the woman he’s trying to help appears to be lying about her involvement in the murder. The worst part is she’s somehow involved in a government cover-up involving the US Army and secrets nobody wants unearthed. Apartment manager Wilson McKenna just got a gift card to Honolulu's newest, upscale coffeehouse from his rich, PI-wannabe tenant, Chance Logan. Wouldn't you know it? 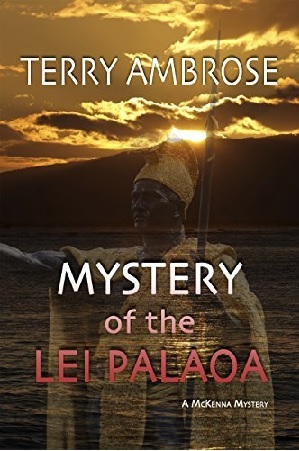 Trouble breaks out during their first visit when the barista confronts an arrogant customer over the lei niho palaoa he wears around his neck. McKenna knows the lei palaoa is only worn by Hawaiian royalty—and this guy is anything but. The argument turns violent and a short time later, the troublemaker is found murdered, and the lei palaoa is missing. The cops have one suspect in their sights—the store owner. McKenna and Chance set out to find the real killer. As the investigation expands, they realize dead men tell no lies, but the living certainly do. 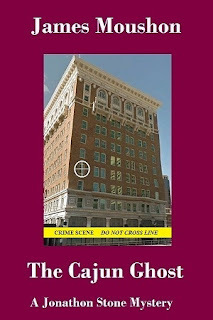 Can they crack a case with no clues, no evidence, and no witnesses? 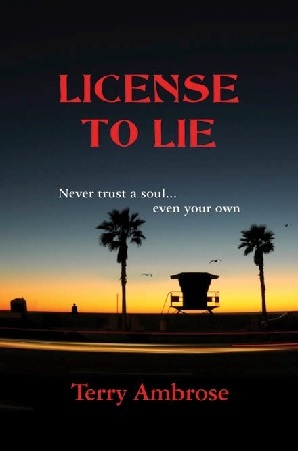 When a con man dies, no one cares…except his killer. 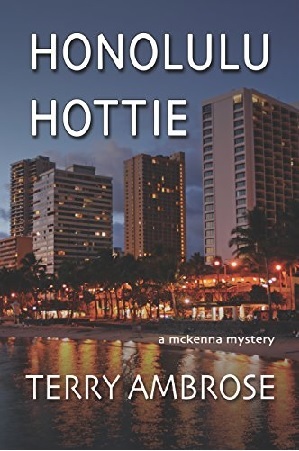 Apartment manager Wilson McKenna’s day tanks when the cops accuse an old friend of killing a ruthless Honolulu scammer. McKenna hates to break the “no more amateur sleuthing” promise he made to his new girlfriend, but his buddy is desperate. He's got no alibi. Made threats against the dead man. And, his gun was the murder weapon. Talk about a guy with big trouble. McKenna turns to his private-investigator tenant, Chance Logan, for help. Too late, McKenna discovers Chance isn’t really a PI. Now, McKenna’s stuck with an investigation he doesn’t want, is mentoring a PI-wannabe, and hiding it all from his girlfriend. A string of shattered lives—and suspects—lie in the dead man’s wake. Can McKenna and Chance find a cagey killer who's always one step ahead? Or, will a dead con man ruin another life? 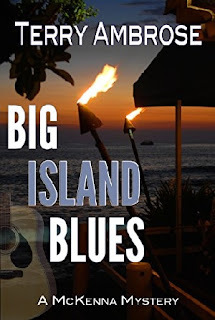 McKenna flies to the Big Island of Hawaii to see his best friend’s niece, Andi Kapono, make her singing debut at the Big Island Jazz Festival. McKenna is barely off the plane when he learns that Andi is missing and her mom wants the former skip tracer to find her daughter before the festival. No sooner has McKenna’s investigation begun than he’s got a teenage hacker messing with his investigation, has uncovered deep family secrets, and is caught in the middle of a twenty-year-old plan of revenge. 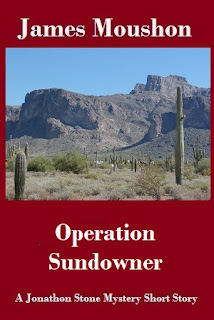 When he keeps digging, he pisses off a Hawaiian cowboy who claims to be Andi’s real father. Now, he’s got a killer on his trail and is worried he’ll let down his best friend’s very hot sister. This time, McKenna’s got more than trouble in paradise, he’s got a volcano ready to blow. 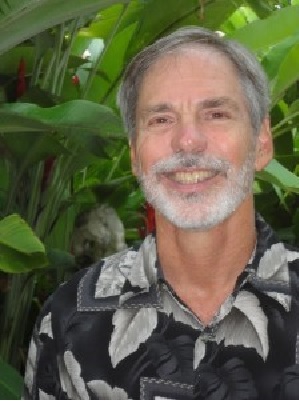 When Wilson McKenna’s bank tells him he’s written $4,000 in bad checks on an island he’s never been to, he’s one unhappy haole. Things get worse when he’s nearly arrested for impersonating himself, the woman who trashed his credit turns up dead, and he realizes he’s up to his ‘umi’umi in hot lava. 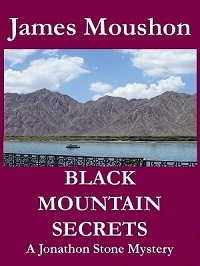 "More delicious than a Coconut Mocha Frap (and that's saying something), this rambunctious, character driven whodunit, kept me laughing out loud while I wallowed in the exotic locale beside the engaging amateur sleuth Wilson McKenna as he unraveled a timely case involving identity theft and murder. 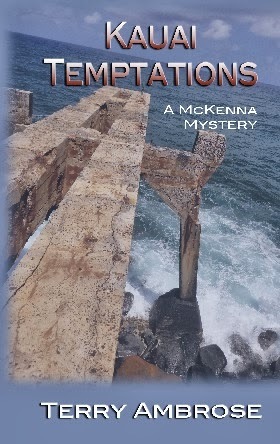 Terry Ambrose has penned a truly engaging, page turner of a mystery in Kauai Temptations." — Jenn McKinlay, New York Times Best Selling Author of the Cupcake Bakery Mysteries and the Library Lover's Mysteries! Never trust a soul—even your own. With Five Million Dollars and their lives on the line, can a determined criminologist and a beautiful con artist learn to trust each other—or themselves? Both are experts in the art of communications. Both are driven by their goals—but they’re on opposite sides of the law. When her father is kidnapped, they join forces—and learn that it’s hard to trust each other—or themselves. 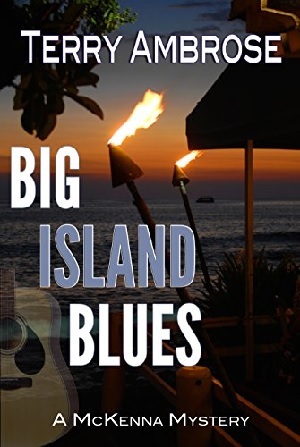 Catch island fever with this funny Hawaiian mystery set on the beautiful island of Oahu. Wilson McKenna's newest tenant is hot, gives great hugs, and just saw a dead body being thrown from a plane. 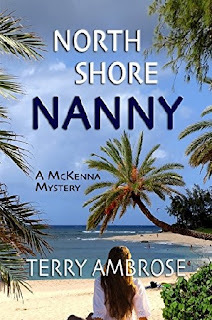 McKenna's not one to get involved in other people's problems, especially those of a woman half his age, but before he knows it, he's volunteered to track down the plane and its owner. 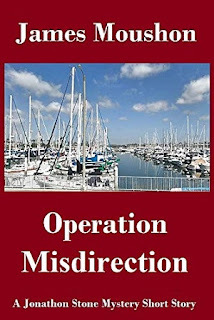 In no time, McKenna has uncovered an island drug ring, pissed off a sociopath, and set himself up as the victim in a beautiful woman's con that could cost him his life. Trouble? Oh, yeah. McKenna's found it. If only trouble didn't have such great legs. 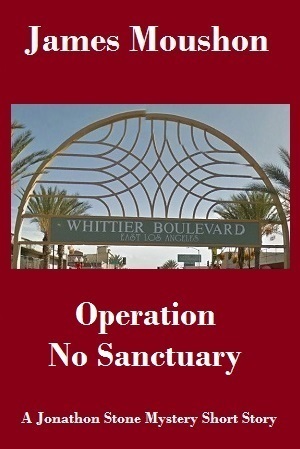 Marty Fitch might be living in paradise, but he's operating in a world where lies are the norm, retribution is swift, and danger lurks around every corner. With the police on his trail, a killer hunting him, and a friend's life in the balance, Marty must choose his next move carefully. Otherwise, his new career as a crime-fighting video blogger might be over before it starts. Tough Choices takes place during Black Jasmine and Shattered Palms. The story brings Pono to Honolulu for a temporary assignment on an interagency drug task force. A collection of short stories and vignettes on life, Hawaiian style, with a twist of grumpy. When you need humor, look to McKenna for a twist of grumpy. McKenna’s always a good lead-off player and his fans call him everything from delightful to a dirty old man. Sometimes, a look at the tragic side of life is just what we need and this short story of how quickly life can change will warm your heart. 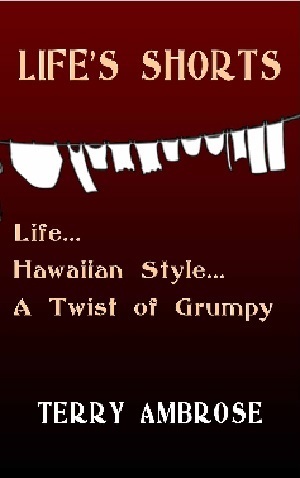 Hawaiian style is a taste of the islands…light and breezy with moisture-laden air, pupus, and even a talking duck.